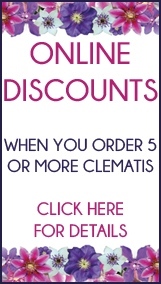 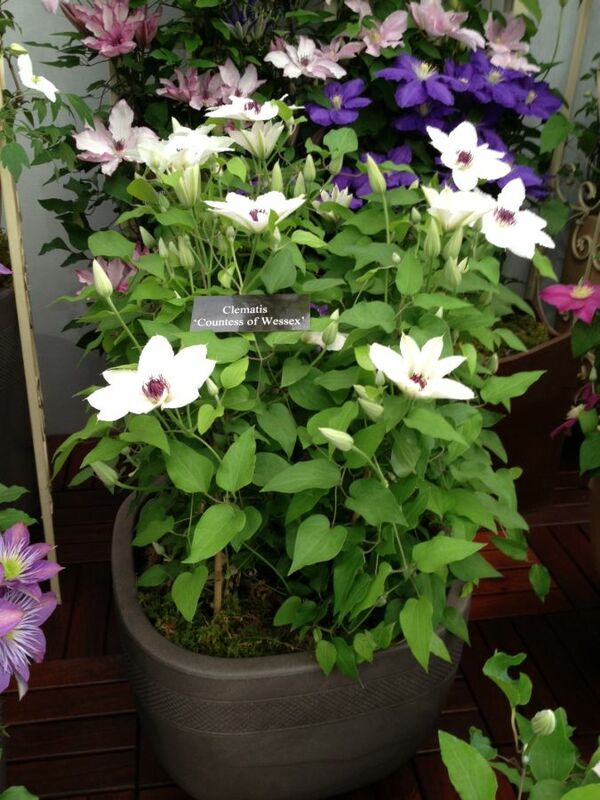 launched at Chelsea Flowershow 2012, Sophie Rhys-Jones was there herself to launch her new Clematis at Chelsea. 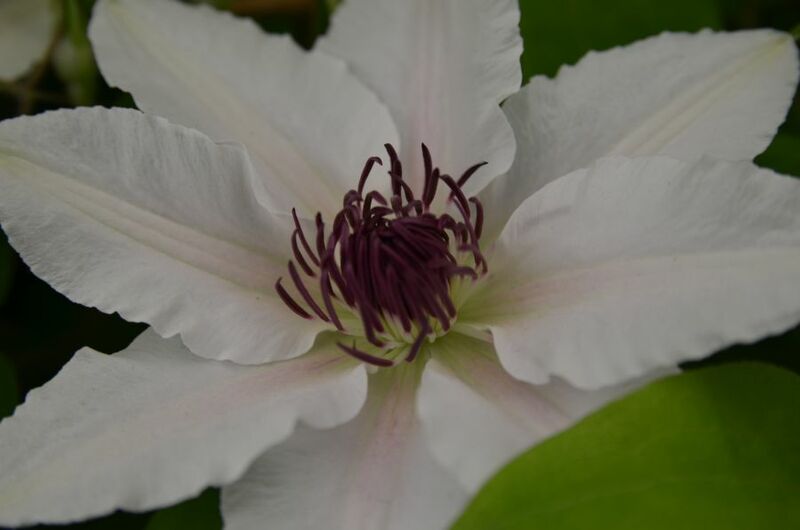 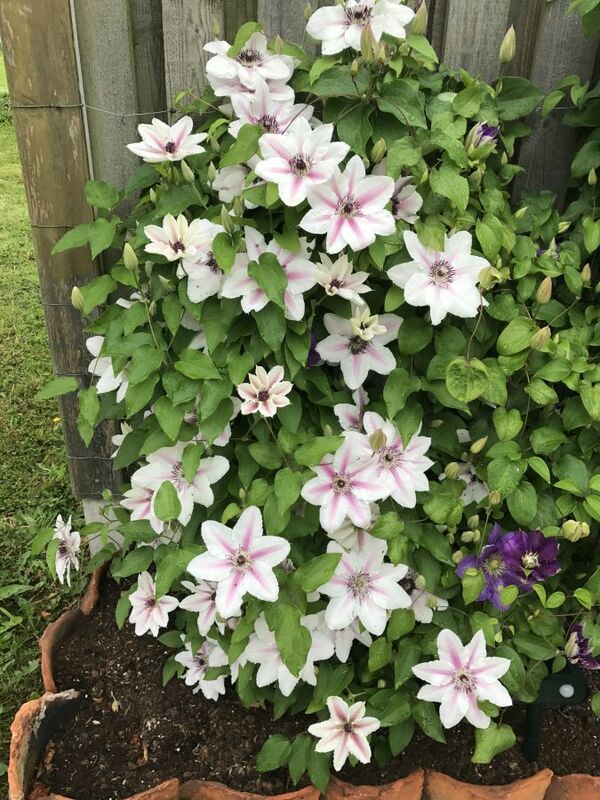 The Clematis Countess of Wessex is a long flowering cultivar flowering all summer long, creamy white in appearance and having a pink bar running down the centre of the sepals. 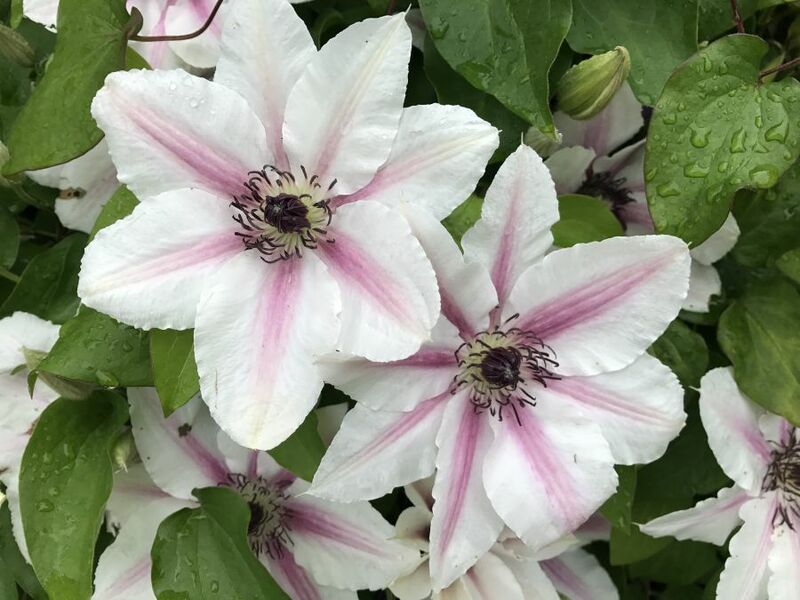 The Clematis Countess of Wessex can be grown in a pot or in the ground and can be planted in any aspect, so a good 'no fuss' clematis that we are sure will perform well in any garden situation. Clematis Countess of Wessex is the latest addition to the Boulevard Collection by Raymond Evison.